We insert an object in the Objects tab, of course by selecting Add Object. 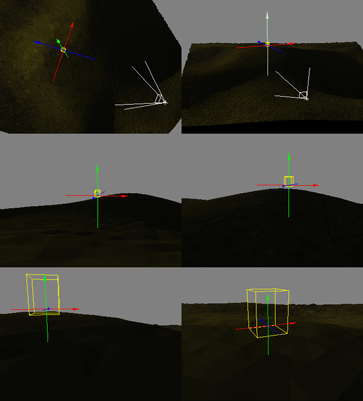 Now we have two options: Object and Population. We choose Object, which means a single object. 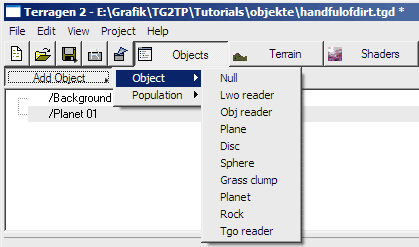 Now we can load objects of different formats or choose one of the standard objects of TG2. If the desired object is an .obj format, we choose Obj Reader. The free Xfrog plants for TG2 are already available in the .tgo format particular to TG2; so we have to choose Tgo Reader here. We now simply need to indicate the location of the object file. TG2 will possibly ask if the object is an Xfrog object. Needless to say, we simply answer the question truthfully. If you’re not sure, try No for an answer. If the object doesn’t work, you simply delete it and retry answering Yes. And in case it doesn’t render correctly in general it is going to need some manipulation – there will be an article dealing with this. Now that we’ve imported the object, we should place it correctly. 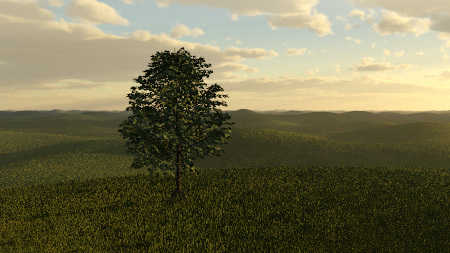 Usually, new objects are located at the origin and thus often out of the camera’s field of vision. Zoom out far enough and you’ll be able to spot the Bounding Box of the object. That’s a white cuboid indicating the location and size of the object. Now that we’ve found the object, we can zoom in a little and move it to the right place. For that purpose, we click on it so that the three arrows appear. Blue and red move the object in the directions of x and z (usually horizontally). The green arrow shows the direction of y (usually upwards). 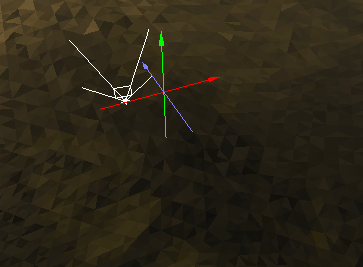 Moving the mouse over one of the arrows highlights it – you can then move the object in the direction of the arrow by keeping the left mouse button pressed and dragging it. Bit by bit, we can thus bring the object to its desired position. During this procedure it can be helpful to pause the rendering of the preview by pressing the Pause button. 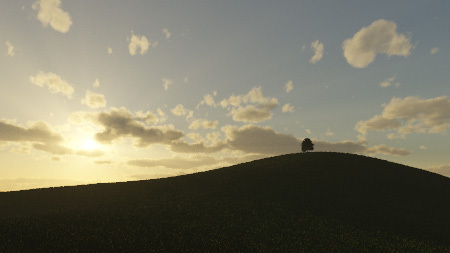 Now we can already see the hill and can place the tree on top of it. You’ll have to change perspectives and zoom in quite often. Then just render it – finished! As you can barely discern the tree itself in the picture, I’ll give you another shot from a different perspective. I hope I was able to simplify the access to the world of objects a little. That’s odd. 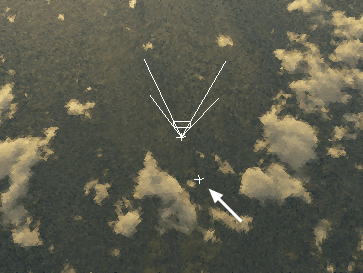 Are you sure you’re not accidentally trying to move a heightfield instead of your object? Does it work when you enter a different position manually? I’ve seen that, too. 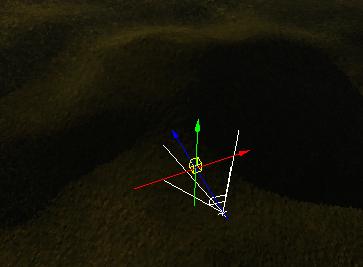 If you have a lot of objects and heightfields it’s kinda tricky selecting the right arrow. I usually just end up tweaking the values directly instead of bothering with the mouse.